All flight training courses are offered on a standalone basis, and include the requisite ground training segments. You can also combine courses to create a complete professional pilot training program. Price estimates for all standalone courses are further outlined below. Aircraft prices are inclusive of the costs of fuel and oil. The most cost effective approach to your pilot training is to determine your overall aviation goals and then formulate a plan of action before flight training begins. Since we do not collect any fees before services have been rendered, this approach can potentially result in substantial savings, regardless of the path you choose to take. Sterling Flight Training has been approved for financing benefits from the Veterans Administration (VA). The VA will reimburse flight training students up to 60% of their flight and ground training costs for all courses, with the exception of the Private Pilot Certificate. Once the Private Pilot Certificate has been earned, VA benefits will apply. Ready to be a Professional Pilot? Want to experience our Redbird FMX Simulator, or join our ranks via your university’s aviation program? Let’s get you in the air. 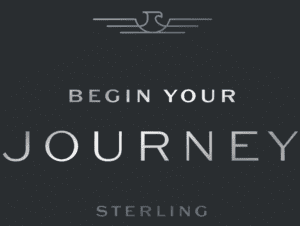 Copyright 2019-2020, Sterling Flight Training. Website by W. BRADFORD.